are described, with extensive analysis of the most recent taxonomic opinions and controversies. 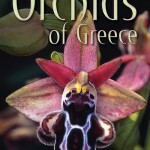 The introduction and general section present facts about Greek nature and flora as well as aspects of orchid biology and conservation. 888 colour photographs illustrate the taxa, including all their variations, as well as their habitats, hybrids and intermediate forms, and aberrant individuals with colour and shape anomalies. Codified and simplified descriptions with emphasis on key-points that facilitate identification in the field.